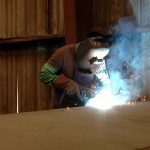 Custom Fabrication & Manufacturing in Houston, TX | Myrmidon Corp. When You Think Manufacturing, Think Myrmidon. 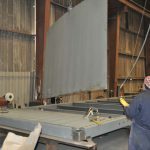 A full service fabrication company with virtually unlimited capabilities! Our daily goal at Myrmidon Corporation is to provide our clients with quality products and outstanding service each and every time. The future of our business depends on the satisfaction of our customers. With this in mind, we have developed long lasting and valuable relationship with our customers. Our staff is dedicated to the unique requirements of our diverse client base. 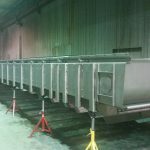 Over the years, we have established a reputation for rapid delivery and reliable service with every project. We want to be your complete source for all your manufacturing needs. Myrmidon Corp. has the knowledge, capabilities and facilities to handle virtually any application or project requirement. 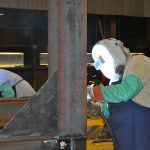 Our experienced technicians, welders, CNC operators, designers, and project managers take pride in the ability to design and manufacturer your custom fabricated product. We serve an array of industries, including companies in the petrochemical, logistics, offshore, railroad, and commercial construction. They can count on the job getting done right, on time and on budget. The Houston market is one of the largest in the world ranging from oil and gas, petrochemical, refineries, rail road, logistics and medical to power generation, construction, materials handling and more. Houston is big and it needs a big manufacturing company that can get the job done right, on time, and on budget. 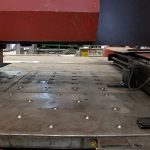 Myrmidon Corp. is the manufacturing and fabrication company that can deliver to tight tolerance, satisfying the highest expectations, achieving the highest quality, and doing it in a timely manner while staying on budget. 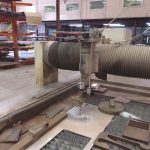 Watch Us Work at Our Houston Machine Shop! © Copyright Myrmidon Corp. All Rights Reserved.